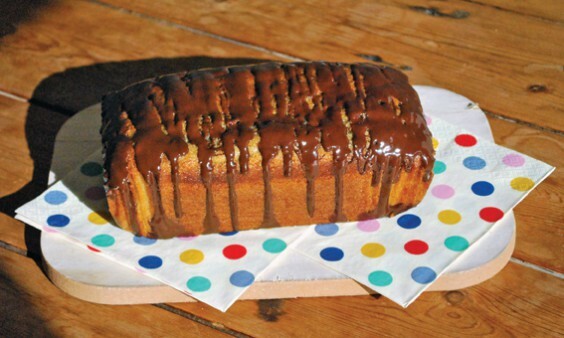 In the first of an occasional recipe series, keen baker Jen Morris, of Rowney Green, creates a juicy Jaffa Drizzle Cake. Spring is a fantastic time of year for baking: January diets are long forgotten and beautiful ingredients are coming into season. This month oranges are at their sweet, juicy best, and their flavour is the star of this Jaffa Drizzle Cake. It is easy to make and stores very well, although it never lasts long in our house! 1) Heat your oven to 180 C / 160C fan / Gas 4, and butter and line a 1.2 litre loaf tin. 2) Combine all the cake ingredients in a bowl and beat for 3–5 mins, until the mixture is light and fluffy. 3) Pour into the tin, level the top and bake for 40–50mins, until golden brown and springy to the touch. 4) To make the drizzle, warm the orange juice and sugar together, until the sugar has dissolved. 5) Push a skewer into the cake to form lots of small holes, and then spoon over the drizzle, which will soak into the sponge. 6) Leave to cool in the tin before moving it onto a wire rack to cool completely. 7) Finally, melt the chocolate and drizzle over the cake. Leave to set.